An elderly woman was brought into the ED after being found down in bed by a relative. She had been complaining of stomach pain for several hours. Paramedics found her to be unresponsive with BP less than 40 systolic, pale and ashen, with fixed dilated pupils. They assisted breathing and started lines, and transported her to the ED. Her abdomen was noted to be distended and firm. Fluids were continued and blood brought rapidly to the ED. She was given 2 units of O negative cells, followed by three units of typed and crossmatched blood. After two liters of crystalloid, a Dopamine pressor drip was started. She had been intubated. 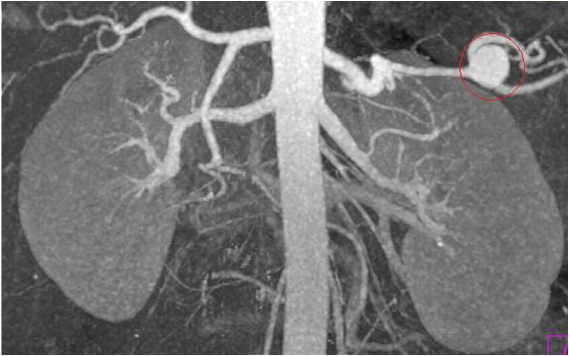 A CT with contrast of the abdomen showed the abdomen full of blood and the contrast blushed in the area of the splenic artery suggesting a rupture. Thrombocytopenia was noted and she was given two platelet packs as well. During this resuscitation, the systolic pressure was never able to get above 60mm. At that point, the physician elected to try the EED. After rolling one on each leg, the pressure immediately came up to 100 systolic. The dopamine was turned off and the patient was transferred to interventional radiology where attempts to plug the aneurysm for two hours were unsuccessful. At one time, the BP systolic went up to 140 and the tourniquets were rolled down to above the knees. The BP immediately dropped to 50 systolic, and the tourniquets were rolled back up, restoring the BP. The patient was then taken to the OR where successful splenectomy and ligation of vessels performed. Total tourniquet time was four and one half hours on both legs. The patient survived and was discharged from the hospital 5 days later. She had a foot drop nerve injury in one leg that was likely a complication of the EED compression. An elderly man collapsed at a restaurant. This elderly gentleman had an AICD in place that shocked him three times and each time he did not convert. The medics then arrived, started IVs and gave epi/amiodarone, and attempted to defibrillate 5 times unsuccessfully. After 35 minutes of CPR, the patient arrived in the ED where EEDs were placed on both legs and within 2 minutes of additional CPR, the patient went into VF and was successfully cardioverted to ROSC. The rhythm degenerated into VF four more times, until he was stabilized. We then started the hypothermia protocol, removed the devices gradually over the next 2 hours, and he was admitted to the ICU. Rewarming after 24 hours, which took a full 24 hours. The patient appeared to be comatose for 7 days, but on the 8th day when weaned off the meds, he woke up and is neurologically intact with some probable diffuse slight ischemic encephalopathy. However, he is moving all extremities, speech is slow but clear, with some semblance of humor and he is recognizing his family.